The Miljødusj DWHR unit has been on the Norwegian market since 2008. The concept is the same as for our HeatSnagger: a DWHR unit intended to be placed under a showercabinet. The units are produced by SUP Technology in the Czech Republic and are sold in Norway through a webshop . We were very interested how the performance of Miljødusj compares to our HeatSnagger, so we obtained a used unit, opened it, cleaned it and put it to the test in our lab. As with the HeatSnagger, we measured the temperature rise of the cold water in a balanced flow setup (dTcold). From these numbers we calculated the power of the heat exchanger (Phe). The curves compare the Miljødusj performance with HeatSnagger (HS) for both the temperature rise and power versus water flow. It turns out that the curves are virtually on top of each other, meaning that the performances of Miljødusj and HeatSnagger are pretty much the same. 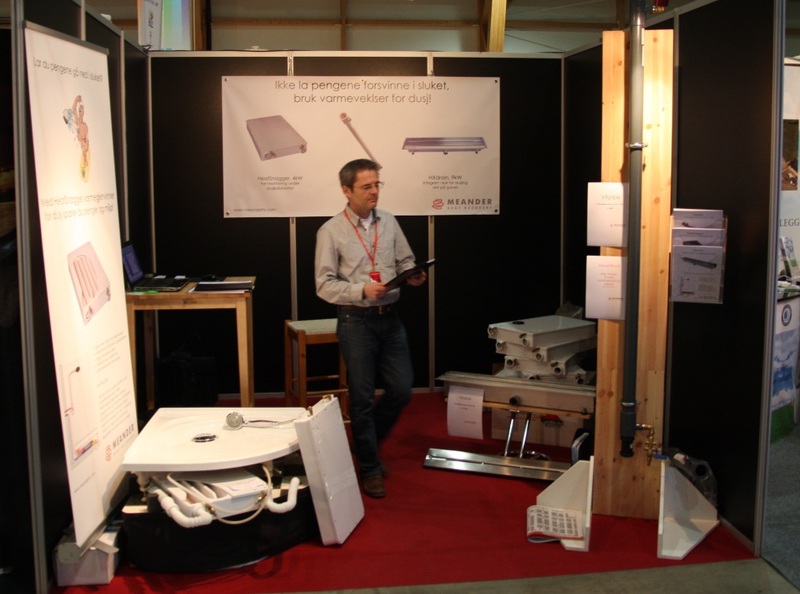 Last week, we manned a stand at the “Boligmesse” fair where we presented our shower heat recovery products HeatSnagger, VXpipe and HXdrain. 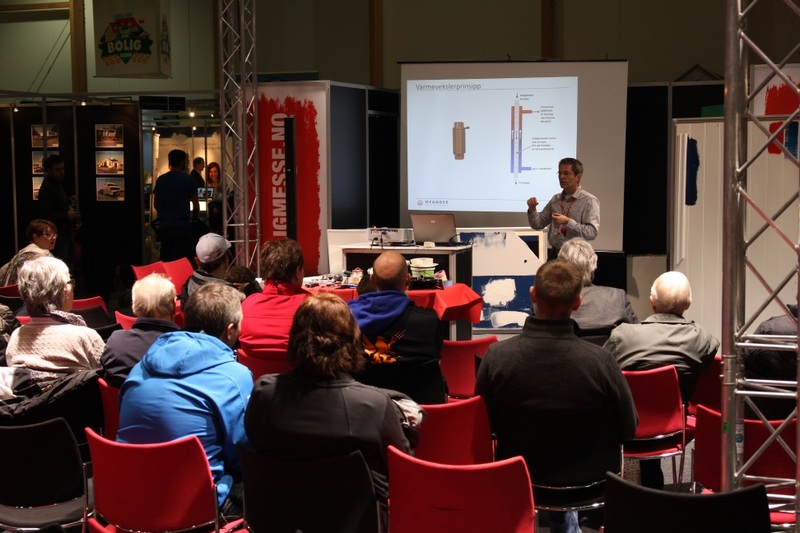 In addition, Svein gave two presentations about the topic. We talked to a lot of people, and most reacted very positive and enthusiastic. We will be working with following up the feedback we got, and pursuing leads for possible installations. 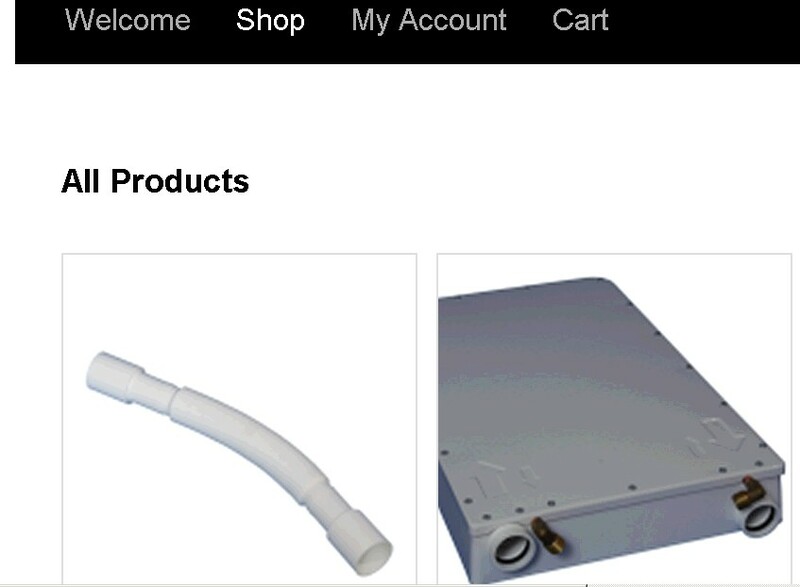 We just opened our DWHR shop where you can buy the HeatSnagger heat exchanger for standalone shower cabinets. Our initial batch was sold exclusively to our members of the free DWHR newsletter list, but we are now taking orders for shipping to Norway, the rest of Europe and USA. Payment is with VISA / PayPal. We also did a pressure test of the pipe assembly to 16 bar and the unit survived this without problems. We have had a great day at Ny Plast where we joined in on the production start up of the HeatSnagger. We made some final adjustments on the drain pipe. On request from several plumbers, we have changed it to a coupling in stead of just a plain 40mm pipe. This will reduce installation time and save space. Behind Arthur, Vidar is feeding the new CNC milling machine at Ny Plast. 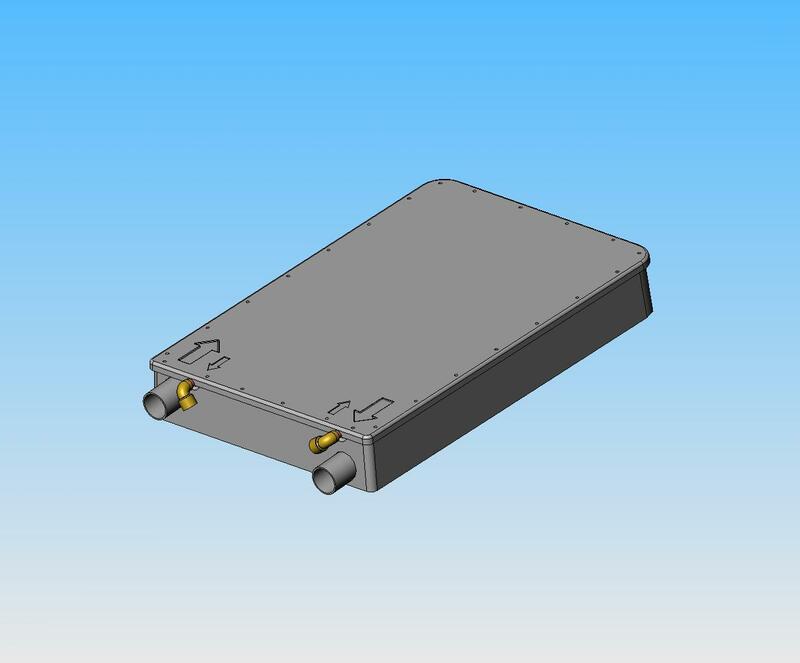 Since it is a so-called tandem machine, the finished top lid can be exchanged with an unfinished top lid, while the CNC milling machine keeps working on the bottom part. The top figure shows the temperature increase of the cold water (dTcold), the bottom figure presents the power transferred in the heat exchanger (Phe) as calculated from dTcold. • Hot water temperature of 60°C. • dTcold goes down for increasing flow, whereas Phe increases. • The balanced setup shows lower dTcold but higher Phe as compared to the unbalanced setup. • The power transferred in a heat exchanger goes up when the speeds of the streams increase. • This effect is non-linear by nature, meaning that a two-fold increase in speed gives a less than two-fold increase in power. • For example, when the flow increases from 5 to 10 l/min (100%), the power goes up from 2.5kW to 4kW (60%) and dTcold drops from 15°C to 12°C. A 4kW power transfer in the heat exchanger will save you 4kWh of energy for every hour of showering. We have seen some interest for branding the HeatSnagger, so we decided to remove the Meander logo that was originally designed to be on the top lid. Instead we added arrows to guide installation of the unit. 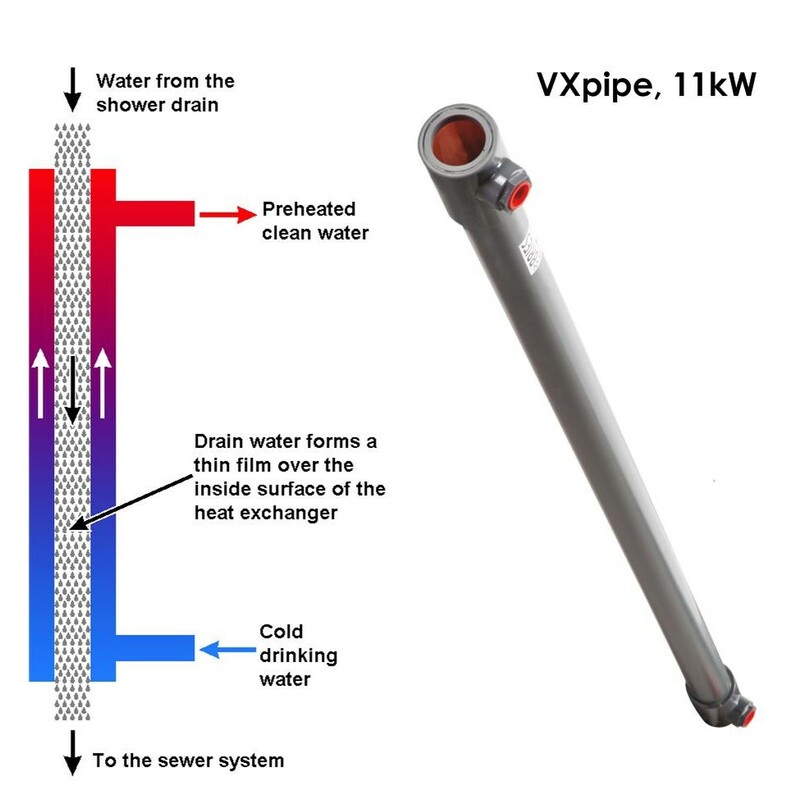 The arrows show how to connect the pipes to achieve counter flow of gray water and cold water. A counter flow heats the incoming coldwater 1-2 °C more than a parallel flow. 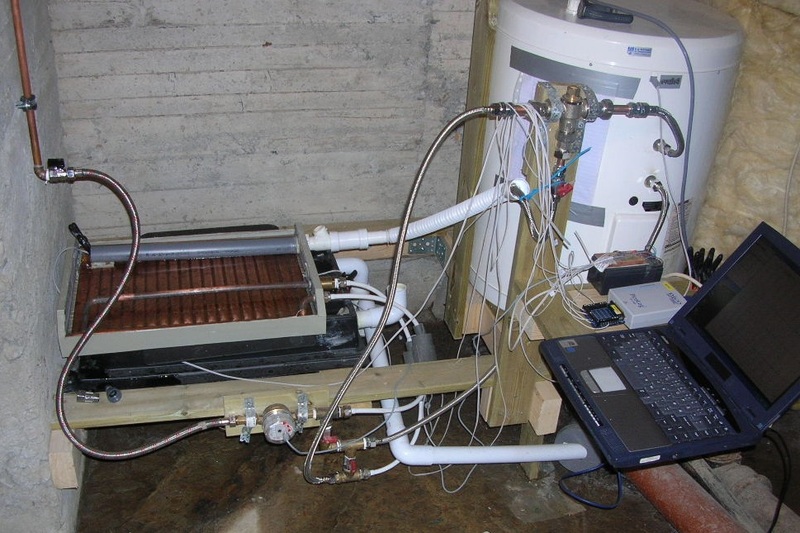 The HeatSnagger is a basic drain water heat recovery unit for a shower cabinet. The focus of the design has been a good price-performance ratio. Inside the HeatSnagger you find a 3 m copper pipe where the cold water to the shower mixer flows. It is a normal copper pipe bent in a meander shape with a 1/2″ fitting in each end. This pipe resides in a channel where some of the energy in the warm drain water is recovered when it preheats the cold water inside the copper pipe. The first meter of copper pipe will have the highest heat recovery, adding another meter will still add to the efficiency, but not as much as the previous meter. Each added meter basically have the same cost in production, and we found the price-performance of a forth meter to be in the borderland of what pays off. So we made it just 3 m long. The idea is to hook a good chunk of energy with a little effort. That´s why it is named The HeatSnagger. To verify the performance of the first prototypes of our DWHR product, we built a test setup in the basement of Arthur’s house. 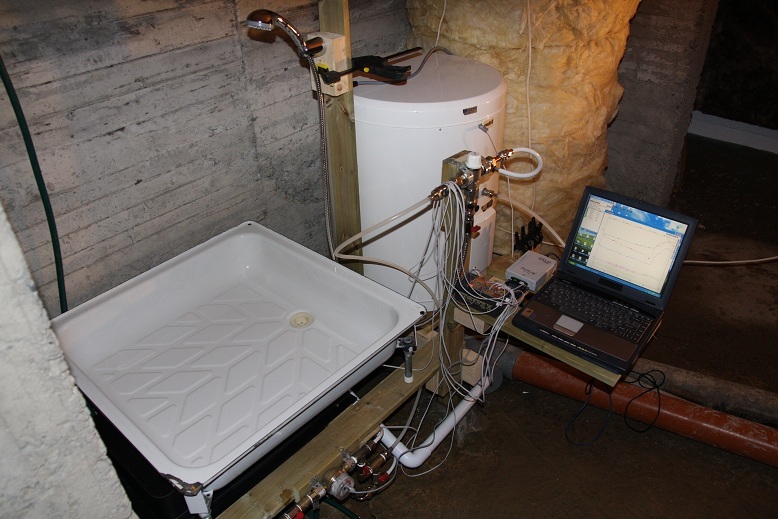 Its main components are an electric hot water tank, a shower platform and a PC based multi-channel logging tool. 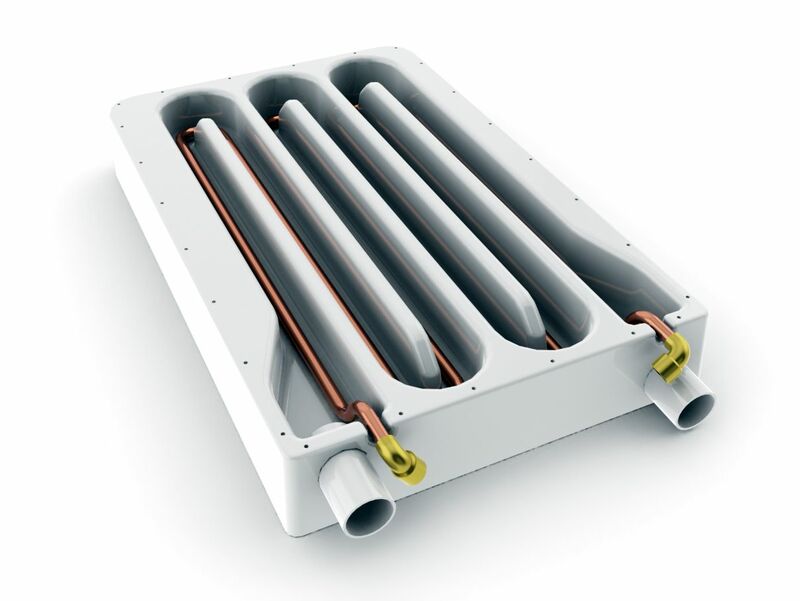 The heat exchanger unit is placed directly under the shower platform and connected with 40mm PP pipes and elbows for the drain as well as 1/2″ fittings and PEX tubes for the cold water. An adjustable thermostatic valve mixes the flow from the warm water tank and the cold water to the required shower water temperature. A set of valves controls the water flow, and can be set to both an unbalanced configuration (preheated water from the DWHR unit only goes to the thermostatic valve) and balanced situation (preheated water goes to both hot water tank and thermostatic valve). Temperature sensors are built in to measure the cold- and drain-water temperatures at the respective in- and out-lets. In addition we are using a flow meter to log the shower flow rate.